Adam’s birthday is this Saturday and we’re spending the weekend out of town so I had to shift my training schedule around a bit. 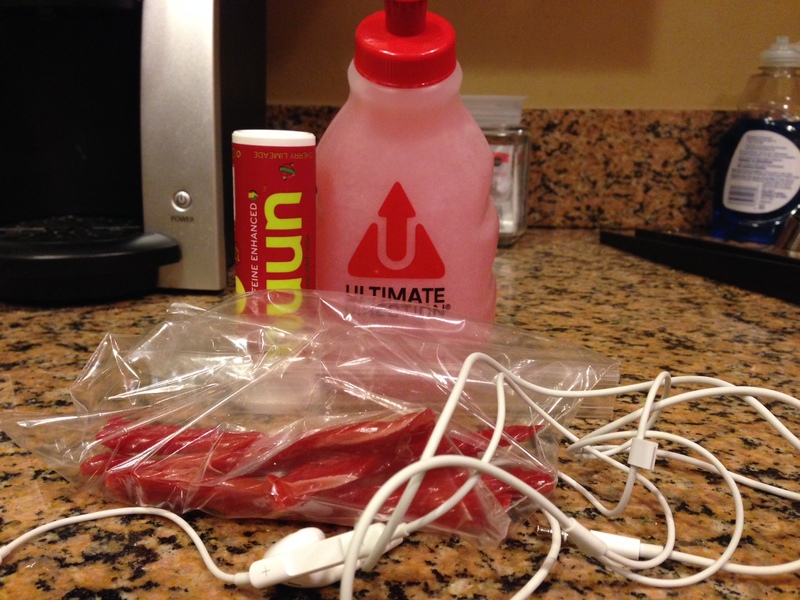 The red things in the plastic baggy are Twizzlers and in the water bottle is a tablet of Nuun. I’m sure I looked like a crazy person munching on food while only running 3.1 miles but I wanted to see if I could eat Twizzlers while running – and I can! When I got back from the gym Adam asked if we could watch a movie (Pacific Rim) and since it is his birthday week I had to say yes! 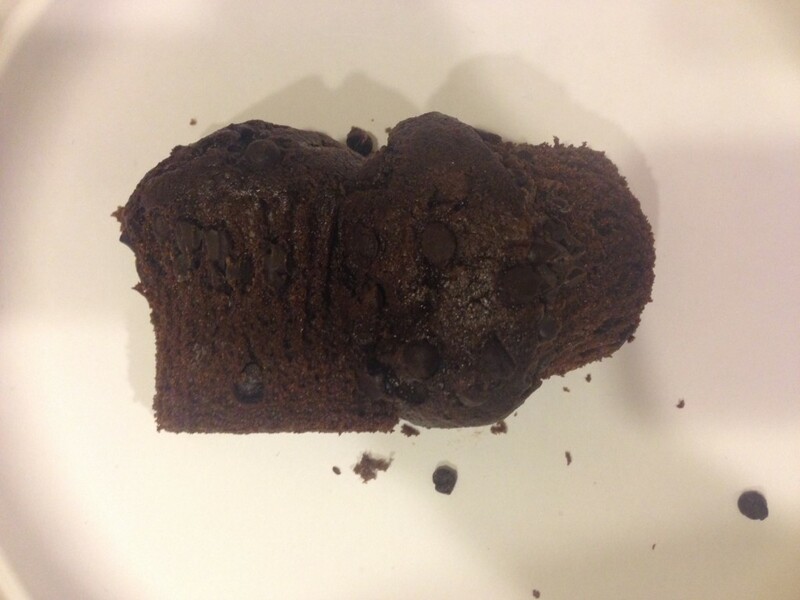 Also, because it is his birthday week we had to split a chocolate muffin while watching the movie! I wonder if I can cut up a muffin and bring it to the half? This is the ultimate delicious running fuel. Today I will do a moderate 6 miles around the beach and hopefully everything will go perfectly. Last night I noticed a very small twinge in my right knee. It wasn’t painful or sore, just … there. I put some frozen veggies on it when I got home and now I am pretending it never happened. Fingers crossed today’s run is smooth! Do you like muffins? I’m actually more of a bagel person. Any alternatives to Nuun besides Gatorade that you like? Previous Post Fixing What I Can + An Embarrassing Text Message!